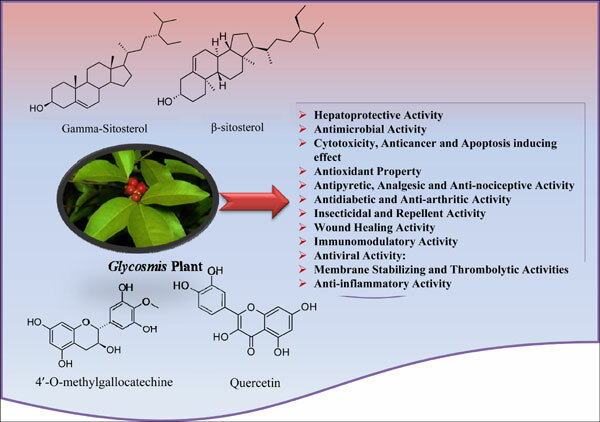 Keywords: Glycosmis genus, cytotoxicity, phytochemistry, pharmacology, medicinal plants, biologically active secondary metabolites. Keywords:Glycosmis genus, cytotoxicity, phytochemistry, pharmacology, medicinal plants, biologically active secondary metabolites. Abstract:Background: Medicinal plants are rich source of large variety of lead compounds. The plants of genus Glycosmis or its different parts valued for its therapeutic and medicinal qualities. Glycosmis belongs to the family Rutaceae.